DOWNLOAD Over 120 Pop R&B Music & Guitar Loops w/ Free Upload! 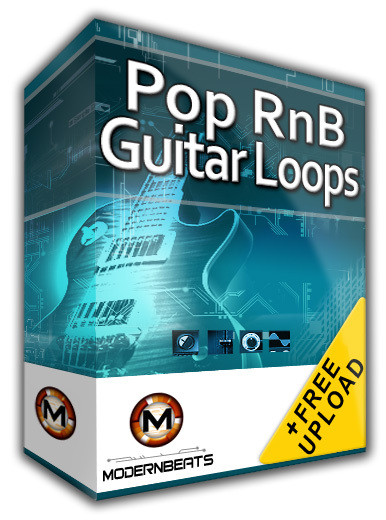 Download Pop RnB Guitar Loops 1 - Featuring over 120 music & guitar loops in WAV/AIFF/REX2 formats (368 files total) provided in a construction-style layout, ModernBeats presents "Pop RnB Guitar Loops 1" - A plethora of hit-worthy pop-radio guitar performances, plus many other music instruments as well! All loops are modeled in the style of platinum Pop R&B music artists such as Ne-Yo, Black Eyed Peas, Rihanna, Jordin Sparks, Katy Perry, Madonna, Bruno Mars, Coldplay, Chris Brown, and more. Containing 10 multi-track themes at tempo 127BPM, the "Pop RnB Guitar Loops 1" library provides multi-layered performances of chart-topping pop guitar riffs plus several other music instrument performances, each separated into its own instrument loop file with both 16bit and 24 bit options. All loops mix-match seamlessly together, allowing users to combine and create hundreds of original multi-track musical compositions with ease! Pop RnB Guitar Loops Collection (Volumes 1 & 2) - Download the complete collection today for over 255+ loops (780+ files) across 2 tempo groups (116BPM & 127BPM) provided in 3 formats (WAV/AIFF/REX2). The complete two-volume library boasts a vast arsenal of modern pop & r&b guitar, riffs, hooks, & licks combined with quality produced backing tracks of sythns, strings, vocal fx, pads, & beyond! Each 127BPM loop theme is featured in G major/minor key.